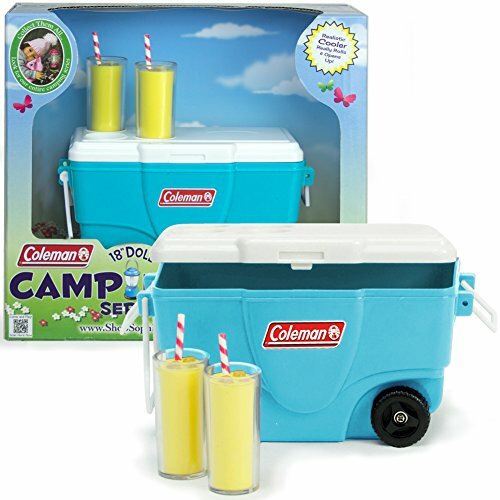 Keep Cool with this Aqua Cooler and Fresh Squeezed Lemonade Set Licensed by Coleman ® and made exclusively by Sophia's ®. 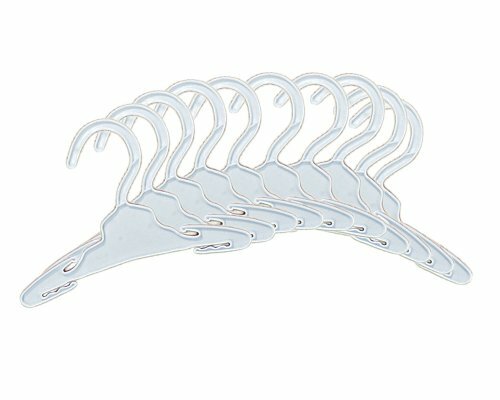 The cooler measures approximately 5.25" long, 3" wide and 2.75" deep. 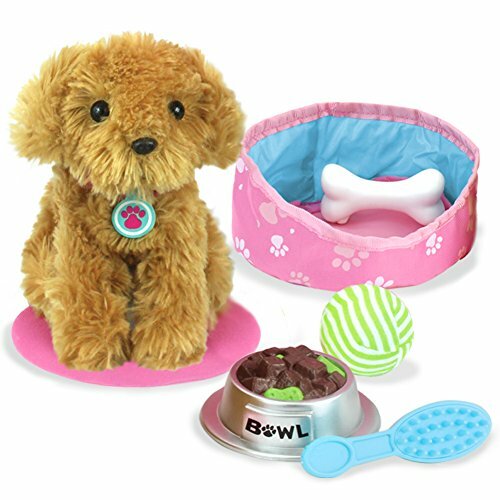 Perfect for 18 inch Dolls, Plush Friends and More. Winner of 2017 Family Choice Award. © 2014 Sophia's- All Rights Reserved. Not affiliated with American Girl®, Reg. Trademark of American Girl, LLC. 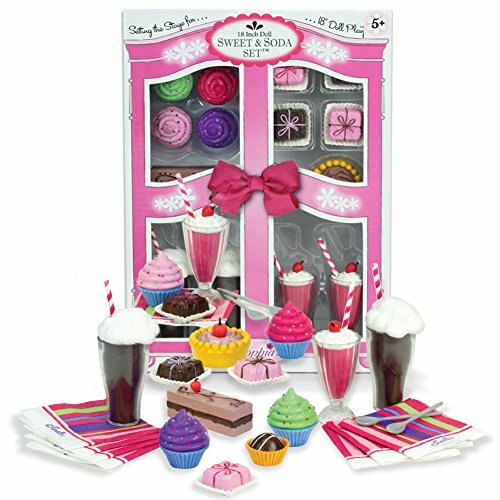 Sweet & Soda Shop Set for Doll, Plush Friends & More. 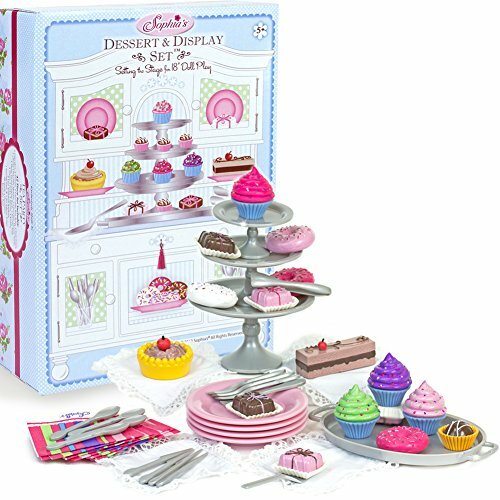 Adorable miniature set of sweets with napkins and spoons. © 2014 Sophia's- All Rights Reserved. Not affiliated with American Girl®, Reg. Trademark of American Girl, LLC. 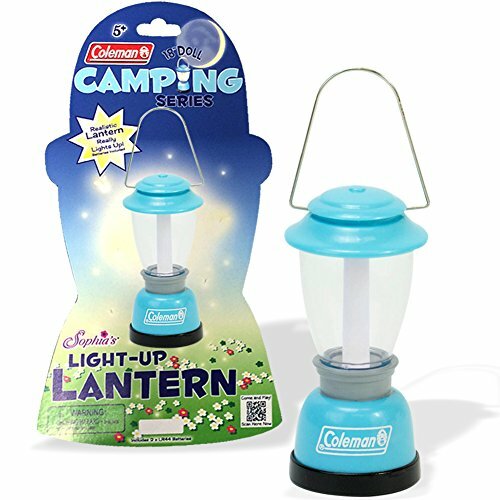 Aqua Coleman® Lantern Really Lights Up! Perfect size for dolls or plush friends! 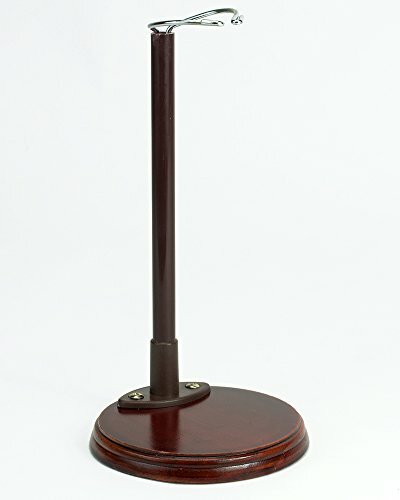 Lantern stands 3.5 inches tall. © 2014 Sophia's- All Rights Reserved. Not affiliated with American Girl®, Reg. Trademark of American Girl, LLC. Bring your doll on your next travel adventure! 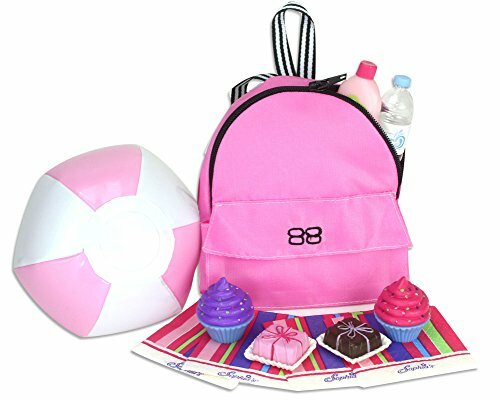 Sophia's doll travel set includes hard suitcase, owl neck pillow, eye mask, tablet, passport, water bottle and luggage tag. Suitcase measures: 4.5 x 7 x 3" Perfect for 18 inch dolls including Sophia's, American Girl, My Life As, Journey Girl, Our Generation and more! Doll, Clothing and Shoes Not Included. © 2016 Sophia's- All Right Reserved. Not affiliated with American Girl ®, Red. Trademark of American Girl, LLC. 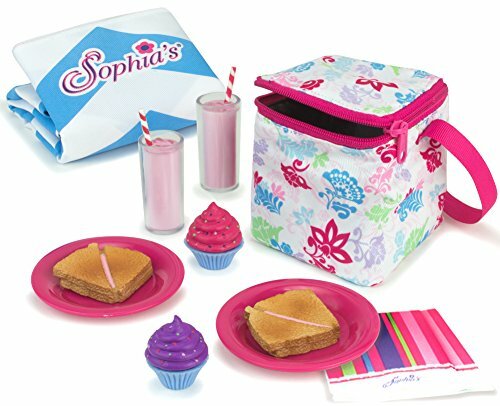 Compare prices on Sophia Doll Accessories at ShoppinGent.com – use promo codes and coupons for best offers and deals. Start smart buying with ShoppinGent.com right now and choose your golden price on every purchase.